Get an overview of the neural network modeler tool and see how quickly a model can be created using this tool. 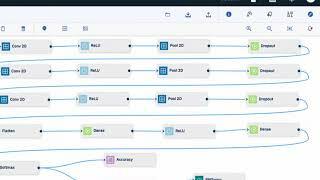 Watson Studio allows data scientists and analysts to quickly build and prototype models, to monitor deployments, and to learn over time as more data become available. Performance Monitoring enables machine learning models to retrain on new data. 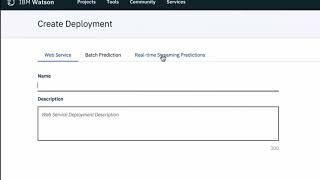 See how easy it is to build a logical regression model using the tooling available in Watson Studio. Learn how Watson Studio Modeler Flows can speed up the creation of machine learning and deep learning models. See how Watson Studio takes advantage of the rich capabilities of SPSS to quickly create machine learning models. 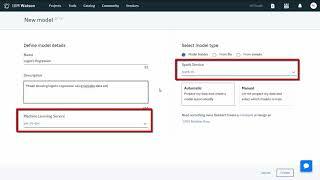 See how Watson Studio Modeler Flows uses the Spark Runtime to quickly create a churn machine learning models. See the rich capabilities of Watson Studio Neural Network Modeler that enable the creation of image recognition models. Get experience with IBM Watson Studio by creating a decision-tree machine-learning model to evaluate the risk that a customer might leave your service.